There are many retirement solutions that fit under the umbrella of an IRA. Make sure you have the experts from IRA Advantage on your team, so you’ll know what’s best for your individual investment goals. 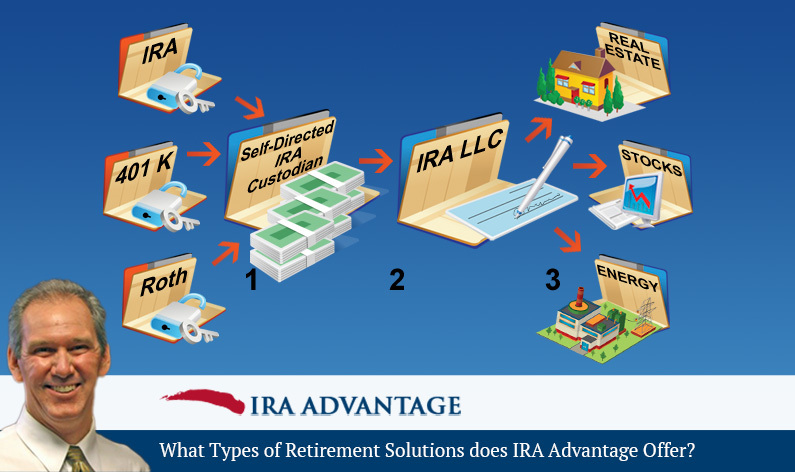 David, what types of retirement solutions does IRA Advantage offer? David Moore: Well, when we started the retirement side of the business, we only had the intent of offering self-directed IRA accounts for clients wanting to go out and buy real estate. Immediately thereafter, we were asked to do different things, different types of accounts, and we ended up offering Solo 401(k) plans for self-employed individuals and they offer tremendous flexibility. Actually, flexibility beyond what checkbook IRAs do, and they’re more forgiving also. During the crash, we got involved with something called a “rollover business start-up”. The acronym is, sort of unfortunately, ROBS. Those literally allowed people to go out and create a new business owned by their retirement accounts. It really provided tremendous opportunity for people that had lost jobs and weren’t able to get SBA money going forward, and it gave them an alternative place to go moving forward in the future. Once again, we started off just offering basic IRA accounts, self-directed IRA accounts to accommodate our clients wanting to buy property, and then that evolved into the checkbook IRAs, Solo 401(k)s, and then finally the rollover business start-ups. We can accommodate somebody whether they want to go buy gold, they want to buy real estate, or they want to go out and create a new business. An extreme example of that is we had clients come to us during the crash and they said, “We’d like to take our retirement accounts, go out and buy a mobile home RV park.” We said, “Well, that’s fine. We can do a checkbook IRA for you.” For the husband and wife, and they said, “Well, did we mention that we want to live there and we want to manage the property?” “No, you didn’t mention that and no you can’t do that.” When you start looking at the rollover business start-ups, the ROBS, it actually allowed us to put them in a situation where they got an investment, they got a job, and they got a place to live. It’s really a tremendous vehicle and a tremendous tool. We can offer all kinds of potential solutions, options for your investment needs. David, what’s the best way to get started? David Moore: A phone call. Today, lots of people want to hide behind emails and go back and forth that way. I think it’s a non-committal situation, but the bottom line is a simple phone call. And in ten minutes we can really get you on track, or at least look at your situation and plot a course forward for you, give you the right options. With trading emails, we’re just going to go back and forth for days. I always like to talk to people. If you want to come in and see us, that’s great too, but definitely a conversation. 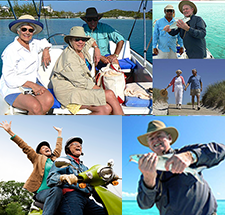 With all the choices of retirement solutions that IRAs can offer, you need the experience and professional advice that is only a phone call away at IRA Advantage. Give us a call today!